Pearl Dangle Earrings in 14K White Gold . 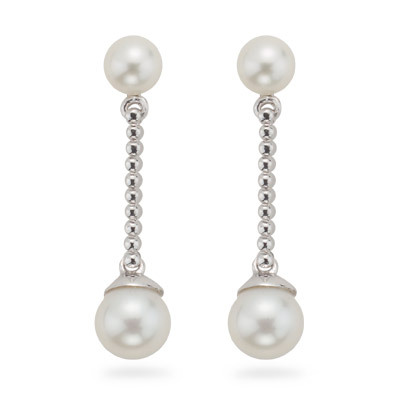 These exuberant Pearl Earrings display two round milky white pearls each in 14K White Gold. The earrings measure 6 mm /4 mm in 14K White Gold. A modern design with classic pearls.